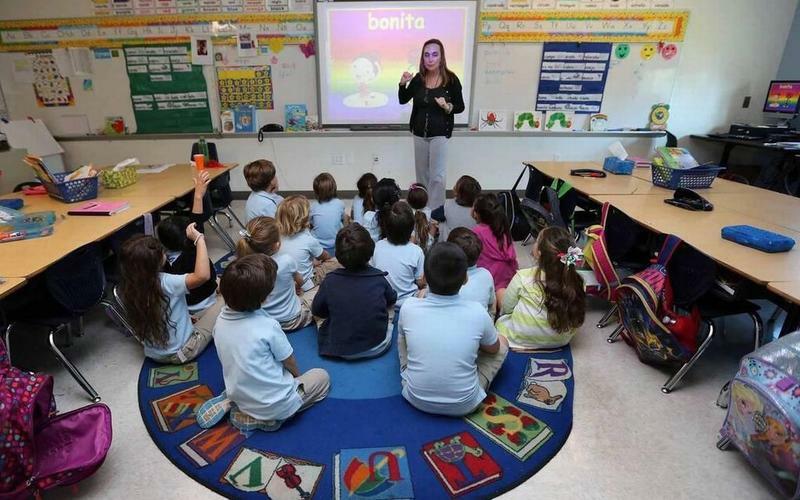 Teachers in South Florida weighed in on what they think about unions. Fifty years ago, Florida was home to the first statewide teacher strike in the nation. The protest led state leaders to guarantee public employees’ right to collective bargaining in the constitution and state law, making Florida a leader in the South. But now, teachers’ unions are fighting for their survival. For two decades, Republican leaders have promoted alternatives to public education that lack unionized workforces — such as privately-run charter schools and voucher programs that offer state-funded scholarships for private, religious schools. And a new law threatens to decertify unions if they don’t convince at least half of their eligible members to pay dues. For this week's episode of The Sunshine Economy, we asked teachers in South Florida if they’re in unions, and how they think their decisions about whether to belong to unions has impacted their paychecks and their experiences in the classroom. Listen to an excerpt from this week's episode of "The Sunshine Economy," featuring teachers' voices. “The union promotes a quality education for all and encourages teachers to be highly qualified.” — John Forbes, union member, has taught for 25 years in Miami-Dade County. “I am so proud of the states that have, are, and will strike for our students and staff. I only hope Florida will follow suit.” — Lori Ziegler, union member, has taught for four years in Santa Rosa County, near Pensacola. “My union is actively working to hold our school board accountable.” — Audrey Conn, union member, has taught for 18 years, including eight in Hillsborough County, which includes Tampa. “Every time something has [gone] poorly, the union has failed to step in in any real lasting way.” — Mellissa Carr, union member, has taught for 15 years in Palm Beach County. “Our union is controlled by the conservative wing of the union. The progressive within [United Teachers of Dade] are routinely shut down and shut out.” — Maury Restrepo, Jr., UTD member, has taught for 12 years in Miami-Dade County. “It pains me to say this but United Teachers of Dade is not a real union. A real union is democratic. A real union represents and defends its members. It does not try to divide and conquer them.” — Isaac Castineira, non-union member, has taught for 13 years in Miami-Dade County. “The union, through negotiation, created guaranteed planning time, duty free lunch, a set workday, a limit on faculty meetings, etc. Some of us take for granted our 257-page contract.” — Seth Patterson, UTD member, has taught for 15 years in Miami-Dade County. “They’ve offered classes on ESE [exceptional student education] and classroom management. They fight for step increases and insurance. I wouldn’t dream of not being a part of my union.” — Kimberly Foster, union member, has taught for eight years in Polk County. “The union pushed for higher pay and got it. I don't think I would have stayed in teaching if it had not been for the union. I was inspired.” — Patrenia Dozier Washington, union member, has taught for 34 years in Miami-Dade County. “Guarantee of due process. Any parent or student can make any accusation, founded or not.” — John Jordan, union member, has taught for 10 years in Charlotte County, north of Fort Myers. “I feel safe in my classroom. I am not worried about losing my job over something silly or out of my control.” — Gina Gilmore, union member, has taught for five years at Florida School for the Deaf and Blind. “I cannot afford the union dues — $861 per year. That’s more than any raise they’ve ever negotiated for this … career teacher!” — Sandra Manzieri, non-union member, has taught for 15 years in Miami-Dade County. “The only thing the union ever did for me was waste the money I spent on dues for a few years. Now at least I have a few hundred dollars more a year to spend on my classroom.” — Kristina Barroso, non-union, has taught for 12 years in Miami-Dade County. “I joined after 10 years because I was growing [increasingly] concerned about the legislation and lack of funding coming out of Tallahassee.” — Ryan Haczynski, union member, has taught for 15 years in Hillsborough County, which includes Tampa. “I first became active in our faculty union when I began to recognize that corporate interests have been influencing education policy through our state Legislature. And I realize that organized labor is the only meaningful counterbalance to their corporate power.” — Elizabeth Ramsay, president of United Faculty of Miami Dade College, has taught at Miami Dade College for 24 years. “[Lawmakers] cannot say that they adequately fund public schools when we are [near the bottom] in the nation for per-pupil spending. They'd love it if we'd all sit down shut up and stay in our classrooms.” — Vanessa Skipper, union member, has taught for 12 years in Brevard County, southeast of Orlando. “I’ve worked both in public and charter [schools]. I prefer charter for one reason only. And that is because, when teachers are ineffective, there's measures to get them out quickly, whereas, in public school, the union seems to protect those ineffective teachers.” — William Presswood, non-union member, has taught for 12 years in Miami-Dade County. “My pay would probably be considerably higher if I could negotiate my own salary independent of the union scale.” — Alberto Dominguez, non-union, has taught for three years in Broward County. “Their fees are higher than my annual raise and don’t equate to the benefits I need to provide for myself. … I’ve … decided to transfer to a private school next year where I will be receiving better pay, more resources, and higher benefits.” — Christine Cuesta, non-union, has taught for 15 years in Miami-Dade County. Florida teachers’ unions are planning to sue the state over a new law that threatens their long-term survival. 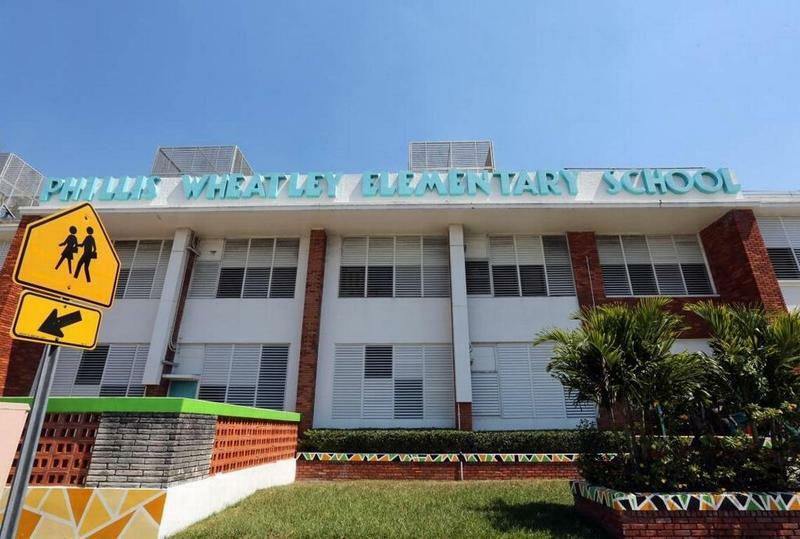 It’s a growing problem in South Florida: teachers can’t afford to live in the communities where they work.